The tip showing that FRG22D Froyo was headed to the Droid came across like 30 minutes ago and we can already confirm to you that the update will hit your D1’s starting tomorrow, August 24th. 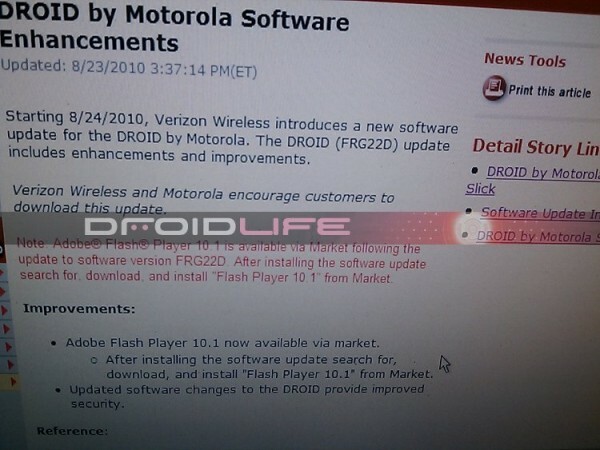 The update on top of your FRG01B Android 2.2 will allow you to download official Flash 10.1 from the market, finally. Of course you can download from here right now if you can’t wait.